With „Ikarus“ Funker Vogt present the second EP taken from their current album Wastelands, whose limited edition was sold out immediately! This second EP follows a similar concept as the „Musik ist Krieg“ EP and serves the friends of the harder musical side of the band. Two versions of the title-track with alternative, shouted vocals, two ALL NEW and exclusive tracks („Dogma“, „The Last Stand“) and a brand new version of Funker Vogt’s classic hit „Tragic Hero“, close to the original, but in a newly arranged version with newly recorded vocals, will make EBM hearts beat faster! "Ikarus" is already the sixth release with Chris L. as frontman. 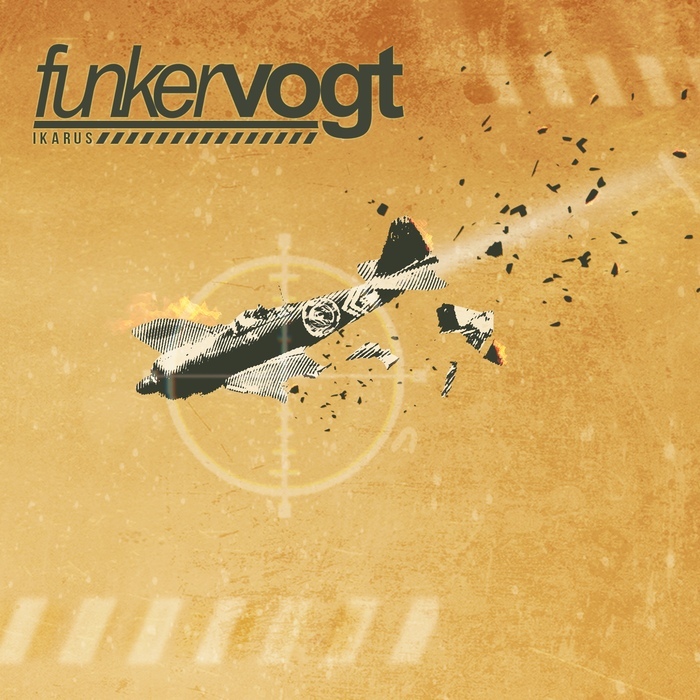 Funker Vogt are more than prepared for the upcoming “Hybridize Tour” in February/March 2019. Armed with these releases you can look forward to the upcoming live inferno. Weapons free!! !